Math manipulatives are expensive, especially if you are on a budget! 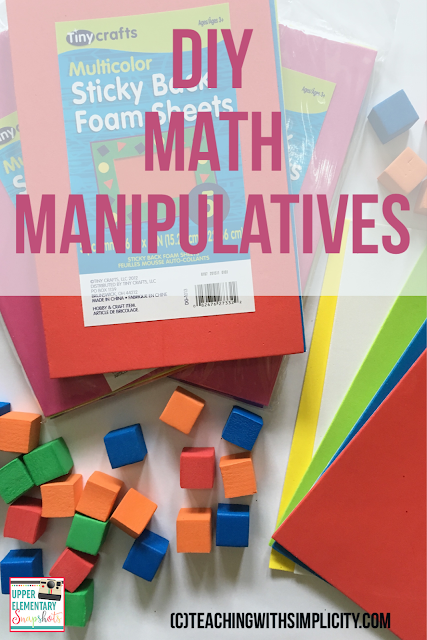 I took a trip to the local dollar store and for under $30, I was able to create an entire class set of nine different manipulatives! 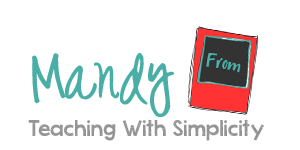 Here is what I used: Self-adhesive foam sheets, 1 package of foam cubes, and...... that's it! Yep, that's it! While you can use the non self-adhesive foam sheets, I personally like to use the self-adhesive. This way if I choose to use a template, I can easily attach the template to the foam sheets and then easily cut my manipulatives. I love these for a number of reasons. First, they came in a package of 30 for one dollar. 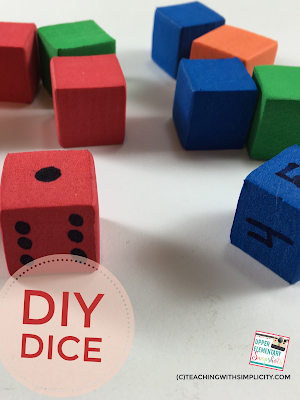 Second, who wouldn't love a classroom set of dice that can't be heard???? These cubes can serve multiple purposes. Create the traditional die, a die with numbers, fractions, or operation symbols. You name it, you can make it! 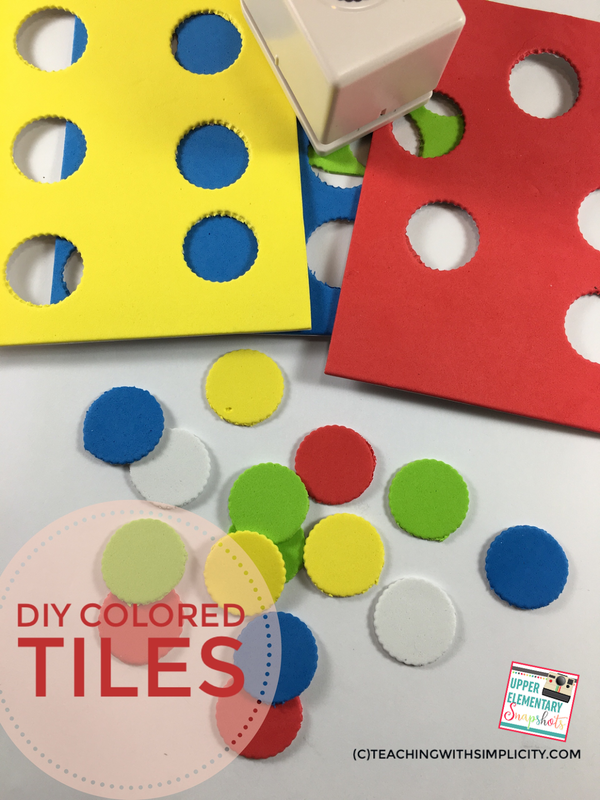 Colored tiles can be made with these foam sheets by simply cutting squares. 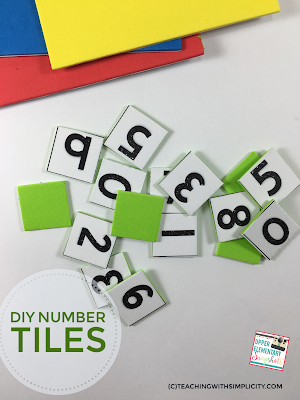 I happened to have a circle punch, so I cut my tiles using this fancy tool. 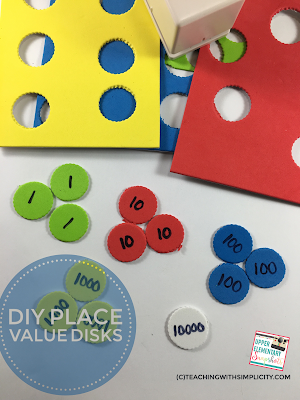 Like the colored tiles, these place value disks were cut using my circle punch. Then, using a permanent marker I color coded the disks according to place value. 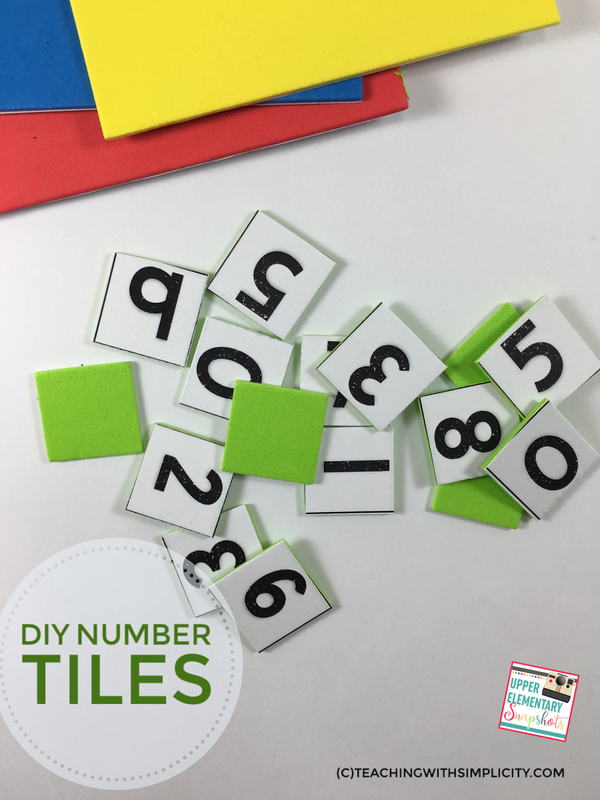 This is where the adhesive sheets and the template comes in handy, but isn't necessary. I'm a little bit of a perfectionist, so I wanted my numbers to be nice and neat. I printed the template, adhered it to the back of the foam sheet, and then cut out the numbers. 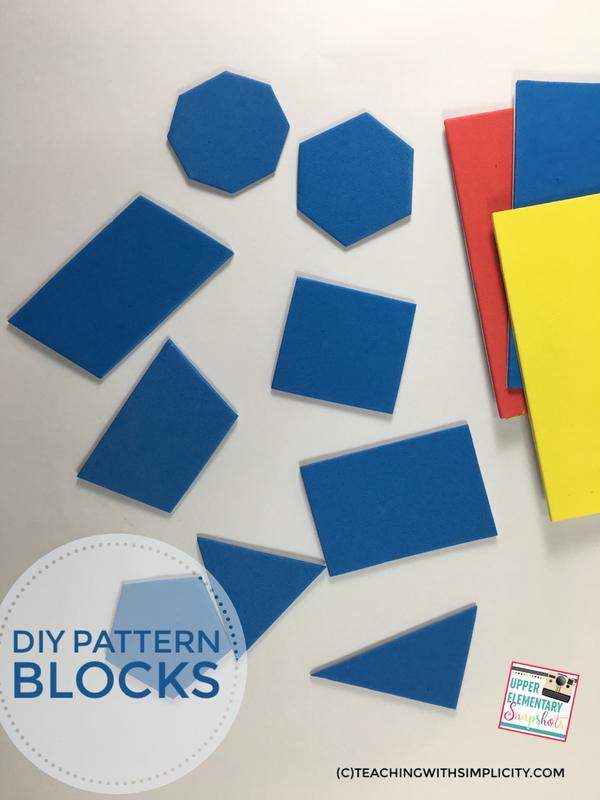 To create the pattern blocks, a template was used. 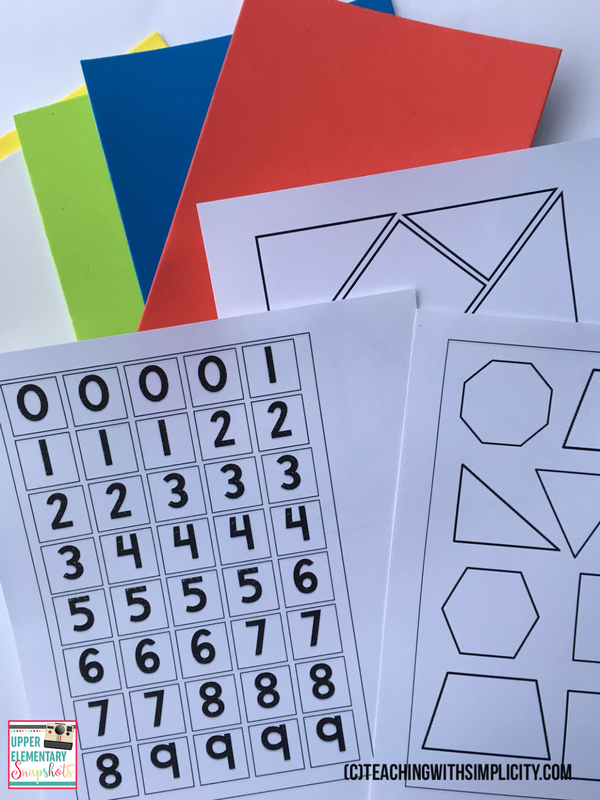 Once again not necessary, but it ensured that the polygons were regular polygons. 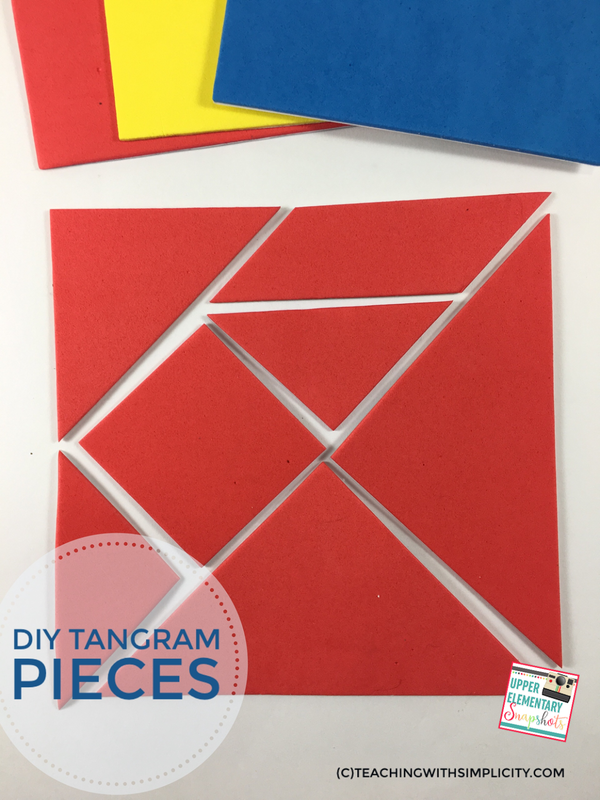 These tangram pieces were created using a template. 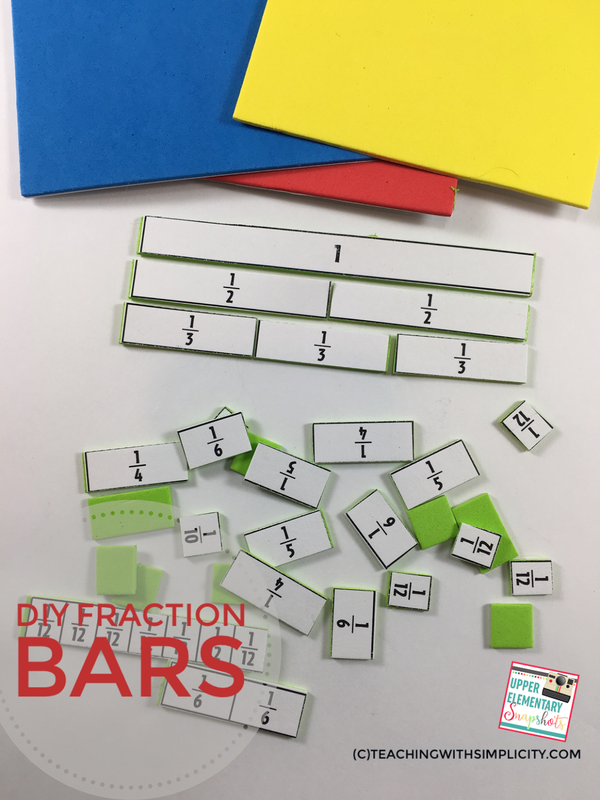 These fraction bars were also created using a template. Using a template for the bars was extremely important, because they needed to depict wholes, halves, thirds, fourths, fifths, etc., accurately in order for them to teach fractions correctly. You can grab the templates mentioned above HERE. These are just a handful of manipulatives that can be created using these foam sheets and cubes. 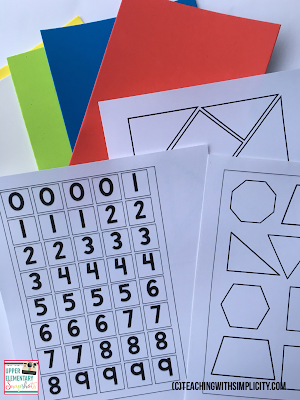 I'm sure there are many other uses for these that the creative teacher in you can put to use!